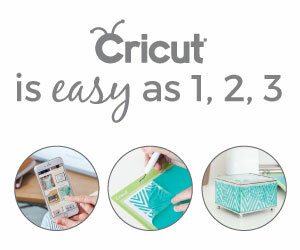 When is the last time you enjoyed sitting down and crafting? In the current book I’m reading (Life at Home in the Twenty-First Century), it points out that moms not only enjoy less leisurely time but also that said time is frequently interrupted. That’s why I’ve rounded up 10 upcycled crafts to make this weekend with little time and money needed. I’m the first to admit that I don’t make enough time for myself. The needs of my family always come before my own. It is one aspect of my life that I am always striving to be better at. Easy crafts like these are a great way to fit in leisure time for recharging your creativity. Since they are made from items you likely have at home, you won’t break the bank either. 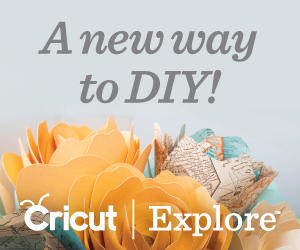 This craft is the perfect way to use up those old magazines you have laying around. Turn them into a bright and colorful work of art. Want to bring some green into your home? This easy upcycled craft is the perfect way to do it! Who knew you could make gorgeous decor with cardboard? Modern on Monticello knew and she’s sharing that knowledge with you in this easy tutorial. How cute would these coaster look on your patio table? The perfect home for that glass of iced tea! If you have wanted to try journaling start with this adorable journal idea. Give your thoughts a beautiful home that inspires you to write. Turn a thrift store find into an organizational decor piece with this awesome DIY! This creative upcycle turns your creative endeavors into a useful piece of decor. Use it to stay on track with your budget and enjoy travel with your family. Turn that empty lotion bottle into an awesome phone holder with this easy upcycle. This is perfect for reading recipes on your phone while you’re in the kitchen. Wrangle all of your jewelry in a colorful way with this upcycled organizer. Keeping your jewelry displayed is a fantastic way to make sure you wear pieces regularly. Have an old t-shirt that is pretty but you don’t wear it anymore? Turn it into a beautiful piece of jewelry with this easy tutorial! Now you can take time for you guilt-free with these 10 upcycled crafts to make this weekend. Stop putting it off and carve out time for taking care of you. Sometimes it’s okay for the kids to get a little extra TV time while you refresh and replenish. Now it’s time for this week’s Merry Monday link party! Link up your latest creations then check out what everyone else is sharing. See you down there!